A 28-year old chef from Merseyside, working in Germany, has been killed by a faulty boiler according to a recent inquest into his death. The lifeless body of Nicky Smitton was discovered in his Berlin flat by his girlfriend. Investigations revealed that Nicky had copious quantities of carbon monoxide in his blood which had seeped undetected from the gas boiler in his home. A Liverpool inquest found that the boiler had been serviced the previous year when it was found to be “in need of some maintenance”. The Liverpool coroner who conducted the inquest, Andre Rebello, reported than an investigation had been launched in Germany which could result in a prosecution. The tragedy was a stark warning to people ahead of winter, Mr Rebello added. He said that he had already circulated information from various charities concerning the dangers of carbon monoxide among all coroners. 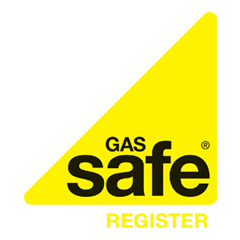 The lethal gas, known as ‘the silent killer’, can cause a variety of serious conditions leading up to death, depending on the quantities ingested. Even a small amount however can be very dangerous. The reason why it is so dangerous is because once it is inside the body it replaces oxygen in the blood, killing off cells and depriving organs of oxygen. A large enough dose can kill a person within minutes. Every year people die from carbon monoxide poisoning without ever knowing about it. They simply become unconscious and never come around, or they die in their sleep. Smaller doses can cause brain damage, heart problems, major organ dysfunction, memory or cognitive problems, behavioural and personality changes and various other problems. These effects are usually permanent and irreversible. This is why it is so important to get your central heating boiler checked regularly, to make sure it is working efficiently and to get a carbon monoxide alarm, just in case.